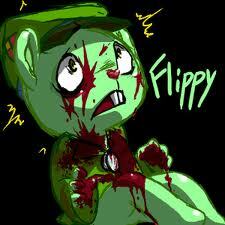 flippy! <3. . Wallpaper and background images in the Left 4 Dead club tagged: flippy bill. This Left 4 Dead photo might contain animado, cómic, manga, historieta, anime, and dibujos animados. Zoey has startled the witch! Do not want to know what there thinking! Steam pipes are out to get Francis!! Since when did Bill get such a big head?